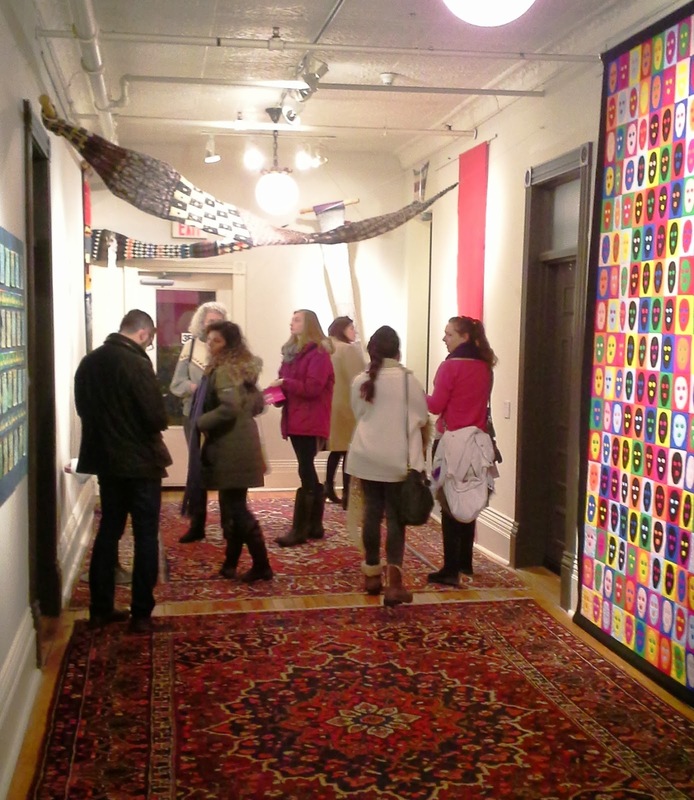 The Purple Scarf: Exhibit: Exploring The Twisting World of Textile Art! 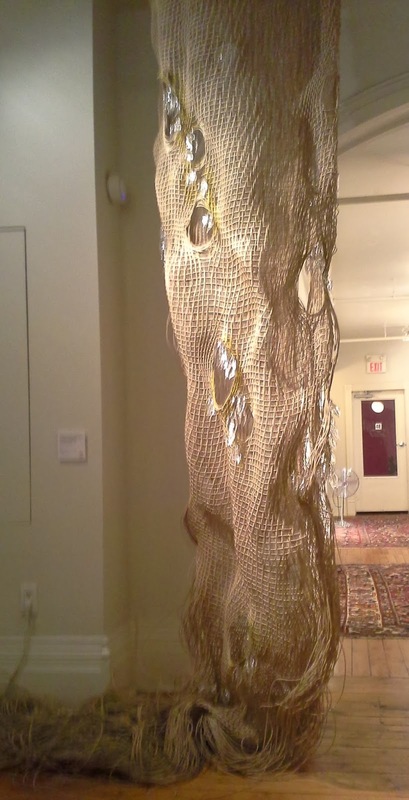 Exhibit: Exploring The Twisting World of Textile Art! 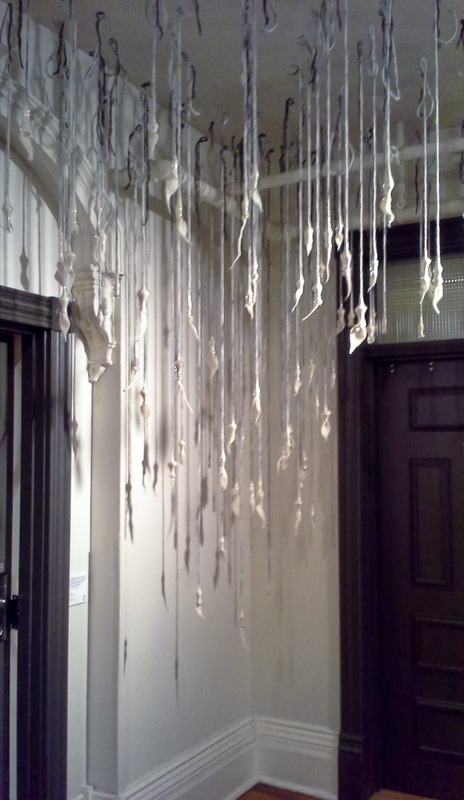 A few weeks ago I visited The Gladstone Hotel for their annual Come Up To My Room Event (read my post on CUTMR here). While there, I took the opportunity to visit their annual Juried Textile and Fibre Arts Exhibition, Hard Twist: This Is Personal. This exhibition "showcases works exploring the nuances, complexities and politics of that which is individual, private and intimate." And Hard Twist certainly did explore the personal relationship between humans and textiles. 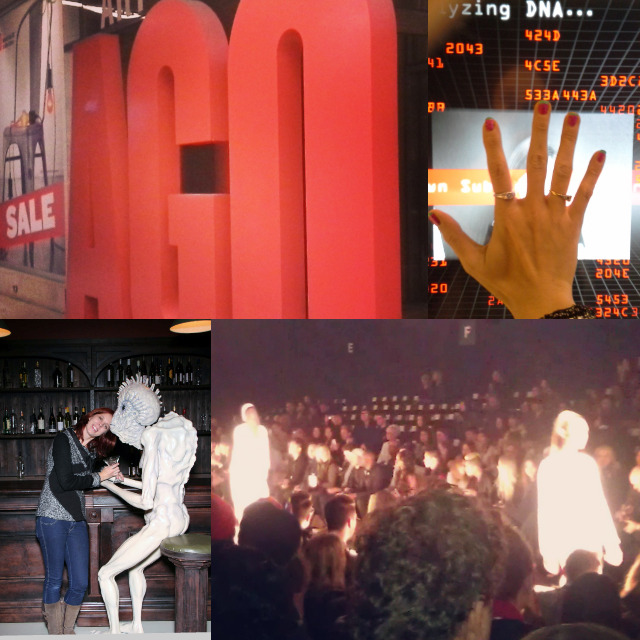 I thoroughly enjoyed this exhibit. Being a former costume designer, I have always enjoyed using textiles in unique ways to express myself, not just in clothing. This exhibit is displayed on the third and fourth floors of the hotel, among guests rooms. Now in it's 8th year, Hard Twist has become an important event among Toronto's art community with participants ranging from established artists to students. Hard Twist: This Is Personal, a Gladstone Hotel Signature Event, is open to the public daily 12pm-5pm until April 27, 2014. 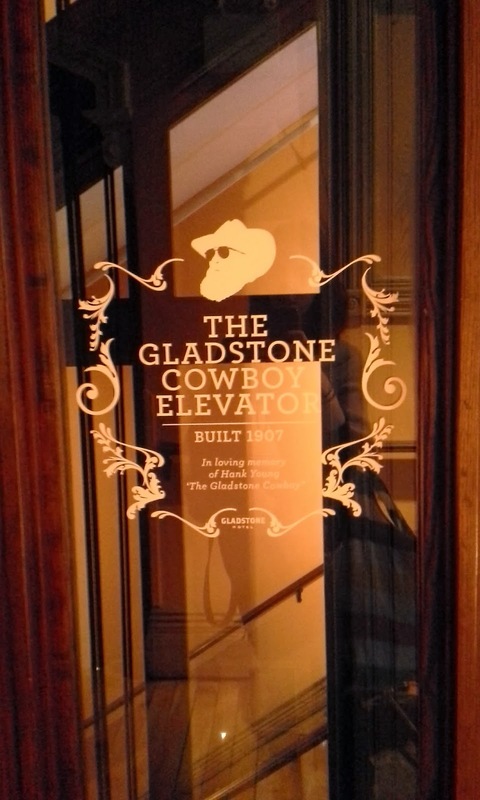 For more information please visit gladstonehotel. P.s! 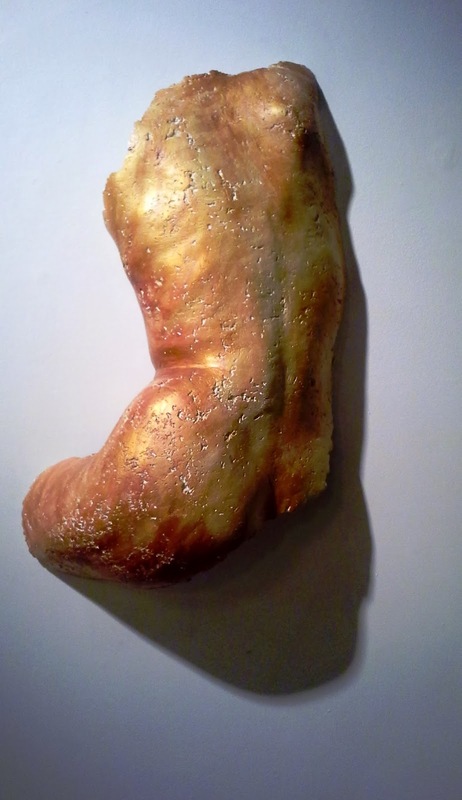 : While there, take the time to visit some of Gladstone Hotel's other exhibitions and artworks displayed throughout the hallways and staircases. Also don't forget to view the Victorian elevator in action, one of Toronto's last hand operated elevators.